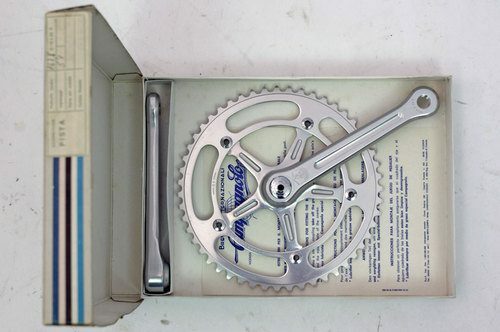 Just like Alan, I was watching this crankset on eBay. 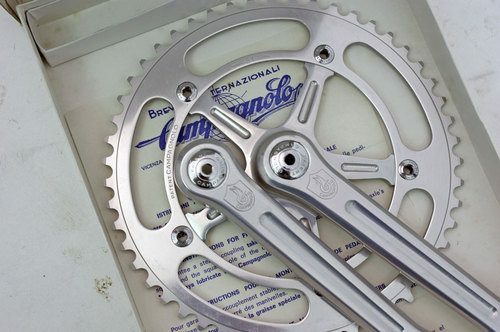 I had no intention of buying them because NOS Campy Pista components will fetch a pretty penny. I just wanted to see how high they would go. Building a complete NOS track bike has got to be an expensive hobby! It’s one of those things where you get enough people fixated on finishing their catalog-spec’d build battling over the same component. Before you know it, the final price has escalated to well over $600. 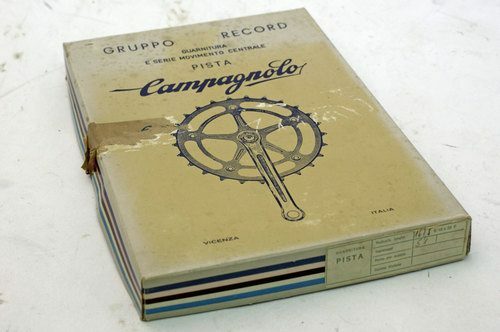 Complete with the original box (even though there seems to be some debate on that) and you’ve got a nice piece of cycling history. The pictures alone are worthy of a post. Really nice. Hurry and grab them off the eBay page before the seller removes them.